For my third design team project I decided to go 3D again. You really need to see the video to get the full effect of this one. 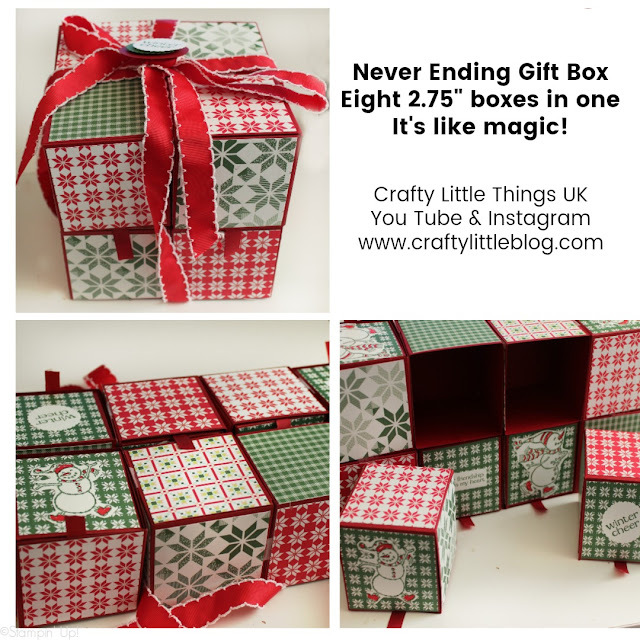 I'd wanted to try making a never ending box since seeing a social media influencer reviewing a cosmetic advent calendar which had a very nifty never ending box design. I set out to fathom one out for myself and this is what I've come up with. 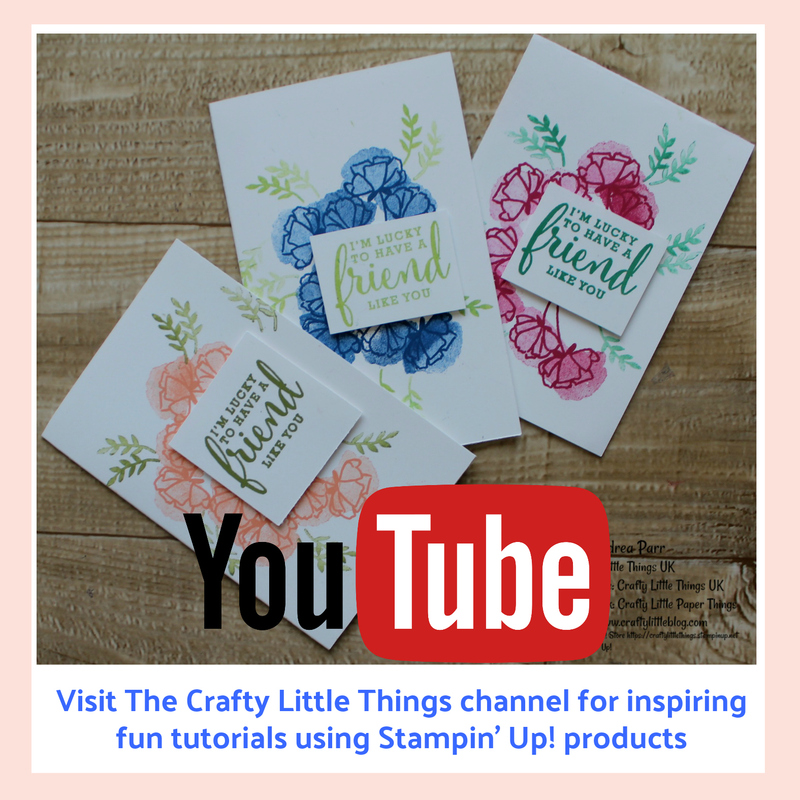 The video tutorial is HERE. 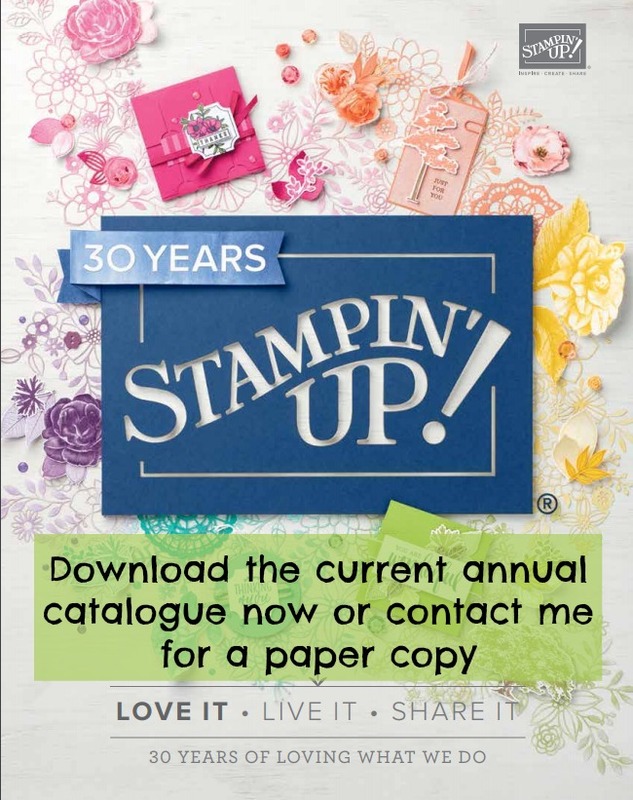 I combined it with the design team theme of using the Spirited Snowman stamp set by Stampin' Up! 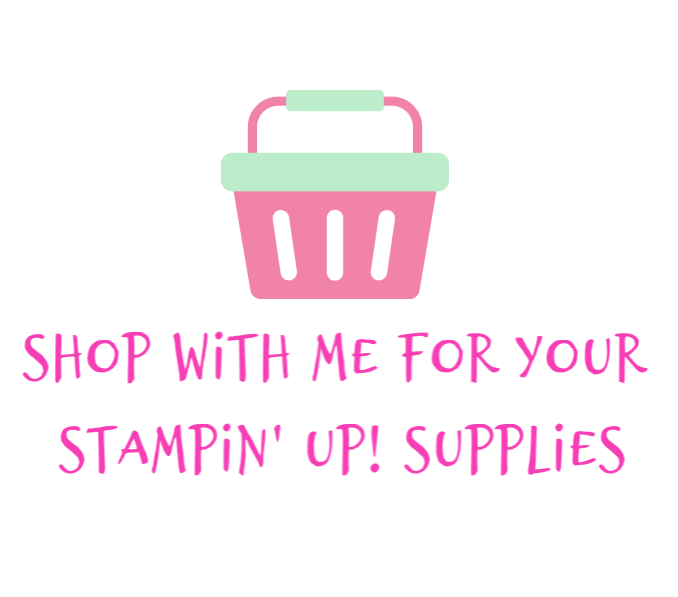 and used other Stampin' Up! goodies throughout to go with it. This one has a very traditional festive theme and uses retired DSP from last year's A/W collection from Stampin' Up!, Quilted Christmas. I stamped and fussy cut the snowmen and sentiments to indicate where a box should be pulled out and opened. 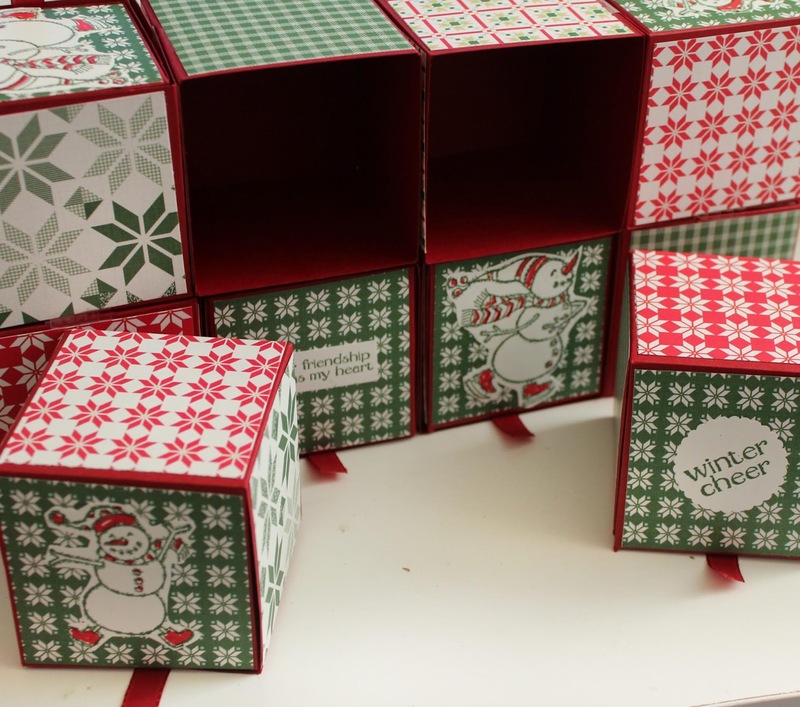 I used a lot of Cherry Cobbler cardstock for this, to make the outer and inner boxes. 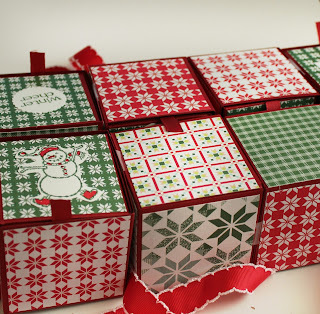 This could easily be sized up or down and could even be separated into sectioned boxes to fit smaller gifts in. These boxes measure two and five eighths on all sides. 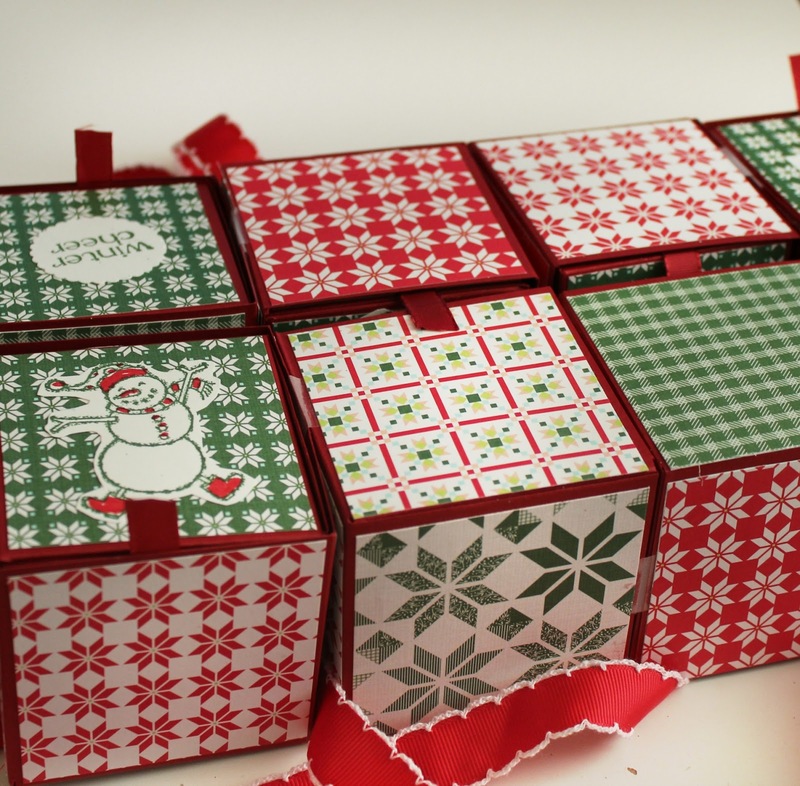 I also used some retired Cherry Cobbler ribbon to act as pulls for each box to help get them out of the casing. 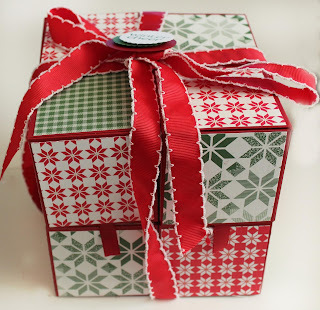 For this you do have to keep everything pretty flat or the mechanism won't work so you can't over embellish or really give any dimension to the box sides but you can wrap the whole thing up in a nice thick ribbon and then fasten on a sentiment, which is exactly what I did. 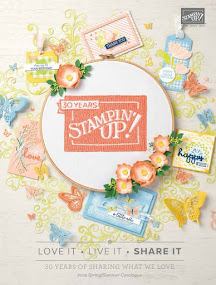 I used Garden Green and Cherry Cobbler with a little Whisper White and with some Stampin' Up! punches I had a cute little sentiment to stick onto the bow. It takes a lot of prep but is very worth it. 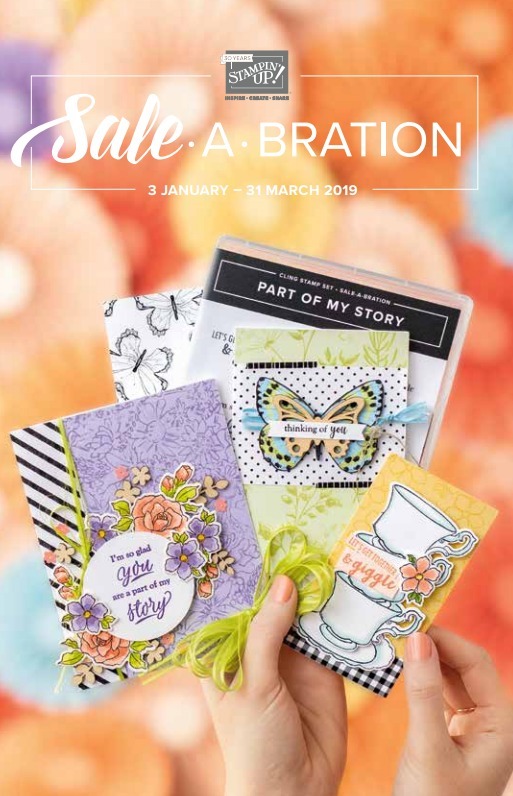 It has a real wow factor as a gift box and each section can be filled either with themed goodies, chocs for example, or you could pop make up, sweets, bath fizzers, crafty items, anything you like into each section. Just make sure nothing's too heavy as it may cause the boxes to spring open. You could always add magnetic or tie closures to the box lids though to prevent that happening. In the tutorial video I do show how to make two types of lid but you'll see that the one which slots inside the box definitely works best. 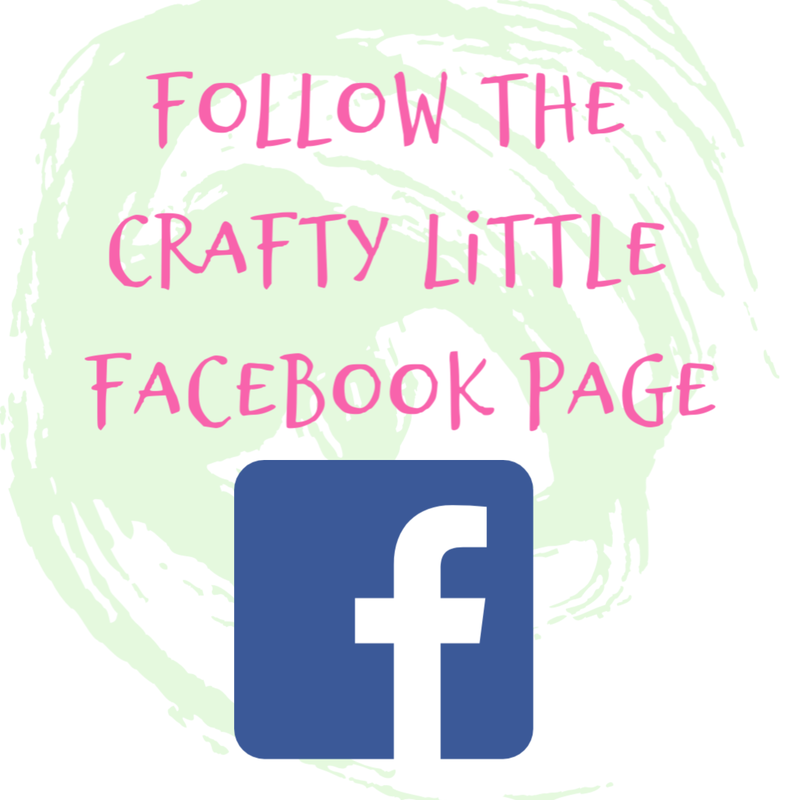 Enjoy making this and please join me again next week for my final Design Team project. Thanks for dropping in and if you do have any questions please just ask. Those boxes are delightful and look great in the dsp. What a fun idea.